Independent short film Ashmina has been selected to premiere at the BFI London Film Festival in October. In addition to the BFI call-up, there’s much more to come from the UK and International team behind the short. Following critical acclaim for Ashmina, a new feature is also planned under the working title of ‘Broken Wings’. It will go into production in January and shoot first on location in the Ukraine in the New Year. UK-based director, Dekel Berenson will be at the helm. 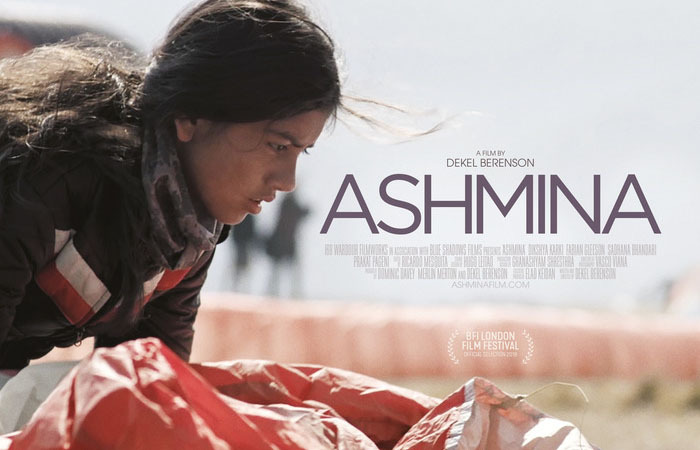 The BFI recognition is all the more rewarding given Ashmina was produced independently with a very small budget. The Nepal shoot used non-actors and a semi-professional crew. Only a few key crew members came from outside the local area. Despite being a self-produced short, the quality of filmmaking and strength of the message has led to intense interest in the project and fueled demand for the new feature. Broken Wings will continue to draw inspiration from director Dekel Berenson’s experience of travelling the world. The feature-length film will tell the story of a number of women living very different lives, with each section unique and unrelated to the others. The aim is to capture the struggles of different women around the world and depict the unique challenges they face. Each segment of the project will film in a different country with shoots on location in the Ukraine, Israel, Brazil and South Africa. The fifth and final segment will be shot on a cruise ship, at sea. Co-Produced by Dennis Ivanov of Arthouse Traffic and Adar Shafran of Firma Films, Broken Wings will shoot across 2019 and 2020. The director’s vision is to provide a realistic and unflinching account of real-life struggles being fought every day around the world. Merlin Merton, UK Producer for Blue Shadows Films said, “It’s an amazing achievement to have Ashmina selected to premiere at the BFI London Film Festival. When we started on the journey of making Ashmina, we knew it would be tough working on location in Nepal with a semi and non-professional crew but the outcome was more affecting and beautiful than we ever imagined it could be.